The atmosphere at Davis Street is neighborly in the best possible way. They’ve ditched wifi, and kids romp on the converted bus outside. At the home of Oak Cliff Roasters, you’ll also find expert brewing, a skillfully curated roster of rotating varietals, killer house-made yogurt and granola—and not an ounce of snobbery. 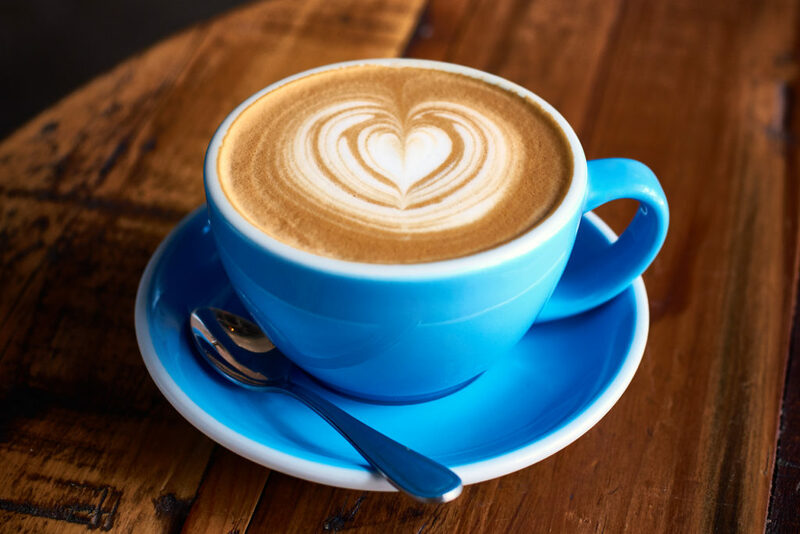 Readers’ Pick: Cafe Victoria makes its coffee with beans from Oak Cliff Coffee Roasters and also serves baked items from other beloved local businesses like Bisous Bisous and Empire Baking Company. Empire was our pioneer in artisanal bread, and years later they still seduce with the sweet (apple-cinnamon walnut, challah), entice with the savory (Kalamata olive, walnut scallion, Jewish rye), and endear us to whole grains (Hippie Health, nine-grain Mockingbird). There’s a reason why every time we turn around, they’re anchoring another chef’s sandwiches. Readers’ Pick: Village Baking Co.’s warm and flavorful breads and pastries transport the flavors of a French boulangerie to Dallas. From a kitchen the size of a ship’s galley, this East Dallas gem turns out dishes we can’t get out of our heads—banana flower salad, grilled duck hearts, clay pot caramel fish, and the banh xeo crêpes you accent with a fistful of herbs. 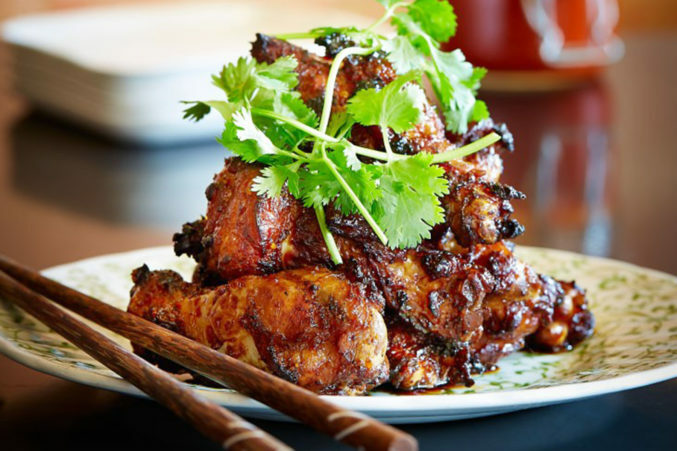 The menu takes you on a soulful journey along the highways and byways of Vietnam. Readers’ Pick: If you can’t decide between eating Vietnamese or a sandwich, get a bahn mi from Pho Is for Lovers. He is Swiss, European-trained, with decades of experience; she is New Orleans-born (hence the sought-after, weekend-only coffee and beignets). Together, Gianni Santin and Tida Pichakron are the tinder and flint behind an explosively creative—but always polished—lineup. Expect macarons, tarts, and PB&J-inspired cakes. How lucky are we that they finally opened a storefront. Readers’ Pick: You want macarons? Bisous Bisous Pâtisserie has a dozen different flavors, from salted caramel to pistachio. 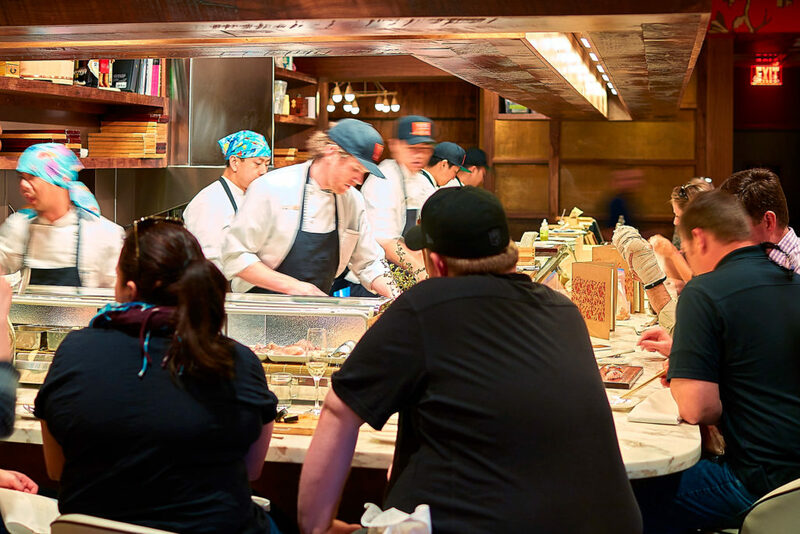 Uchi dazzles us with its jewel-like cool tastings and otherwordly desserts. But even if it didn’t, we’d covet the sushi. Fish is flown in daily from Tokyo’s Tsukiji fish market, and the house specialty is breathtaking freshness. Try creamy scallop or delicate sea bream, and do give in to the decadence of the seared foie gras nigiri. Or just let the headbanded sushi chefs be your guide. You can trust them. 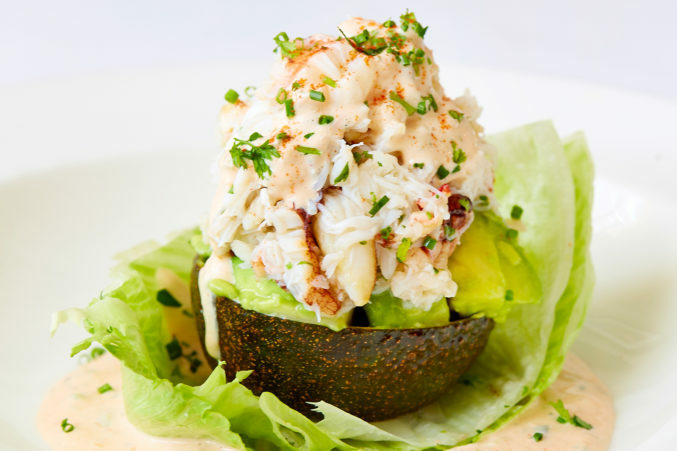 How to choose between the perfect sole Milanese, the Dungeness crab on a half avocado with house Thousand Island, or beer-battered fish and chips? A childhood in Puget Sound more than prepared Nick Badovinus to open his cozy port of call, with its perfect oysters and nautical charm. Readers’ Pick: TJ’s Seafood Market serves up fresh shellfish, grilled fish, fish tacos, and more. What do you get when you take a brewery that offers 32 taps (10 brewed on-site) and add a chef, a large patio, and a slew of beer events? Deep Ellum’s BrainDead Brewing. The beer flows (they fill growlers, too), and creative burgers and bar food keep the customers happy as they gaze at the lights of downtown. Readers’ Pick: Belgian-born founder Wim Bens’ Lakewood Brewing Co. carries on Belgium’s rich beer tradition with six year-round brews, four seasonal, and multiple special releases. The best Thai food in Dallas comes not from a restaurant at all. Behind a glittering temple, woks clang and grill smoke fills the air on Sundays. Curries, rice salads, meat skewers, and charred banana leaf parcels summon enough flavors to make your head whirl. You’ve arrived: be adventurous. Readers’ Pick: Royal Thai’s dishes are so authentic, you might forget for a moment you’re in Dallas. Playful dishes delight at this modern American and Asian-inspired restaurant located above Uchi. 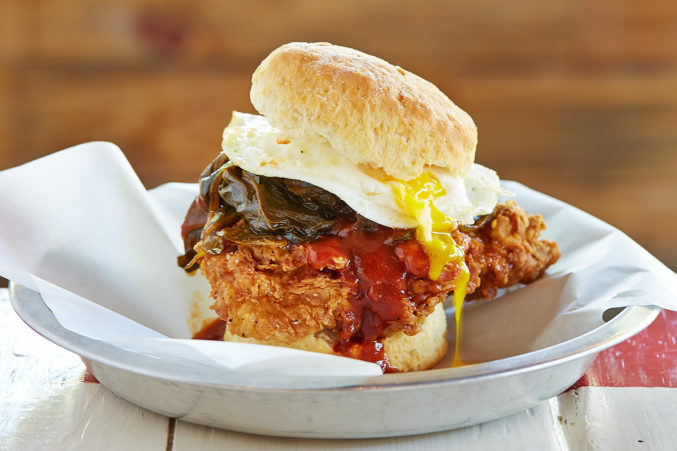 Indulge in chef Angela Hernandez’s hot fried chicken Benedict served on a biscuit with smoked gravy and a fried egg, a breakfast bun made with Canadian bacon and creamy pimento cheese on a Parker House roll, or muffin tops with miso honey butter. The brunch punch spiked with bourbon is a must. Readers’ Pick: Start the day with one of Meso Maya’s eight different margaritas. 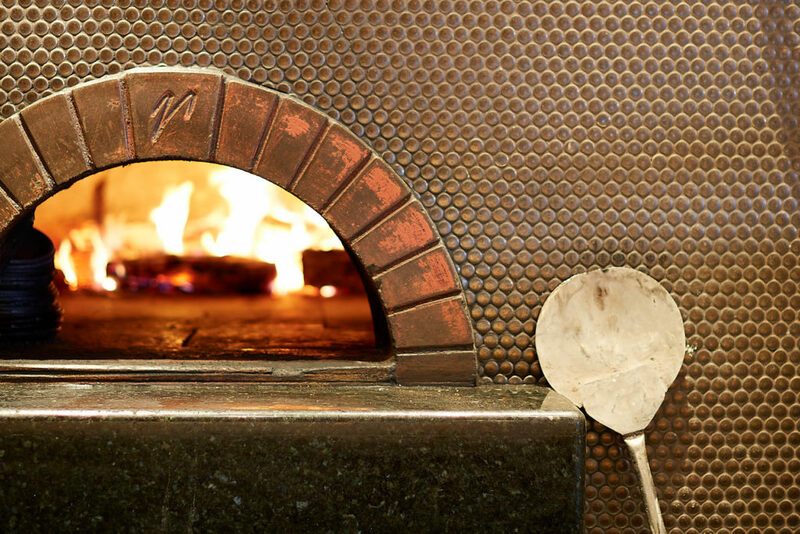 If you like a crispy, thin-crust pizza—and we do—there is no better ally than the wood-burning oven that glows in a corner of Nonna. Pies come blazing out of the oven with toppings like house-cured salami or chicken pancetta meatballs and broccolini, the crust blistered, cracker-thin, lightly sauced. Perfect. Readers’ Pick: Three words accurately describe Cane Rosso: worth the wait. Yes, the Wagyu pastrami at Patina Green is delicious, but a vast repertoire of produce-focused sandwiches—that might include roasted asparagus, kale-walnut pesto, goat cheese or lemon cucumber, heirloom tomato, and green garlic aioli—knocks it out of the park every time. 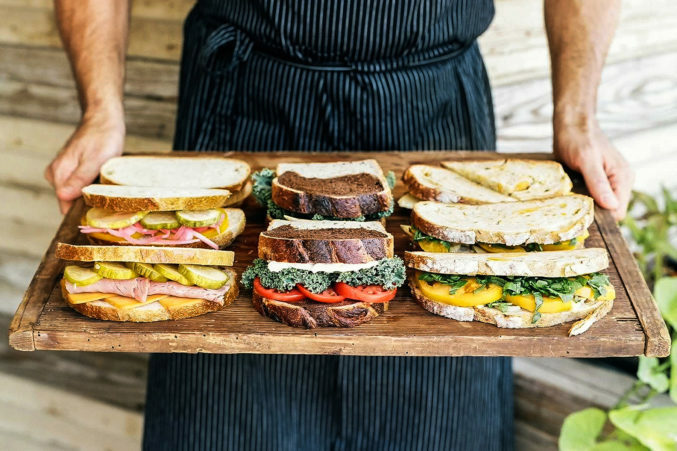 These are sandwiches worth a trip to McKinney. Readers’ Pick: East Hampton Sandwich Co.’s menu is stuffed with great options such as the lobster roll and the vegetarian asparagus and Gruyère grilled cheese. 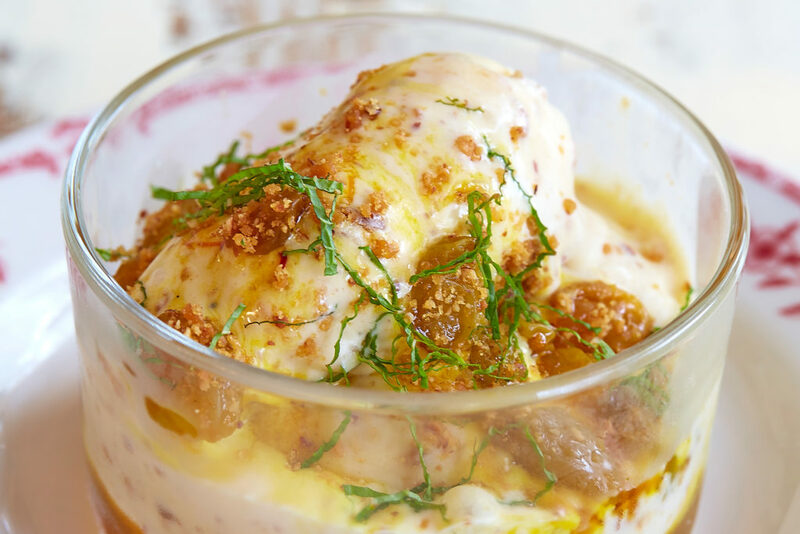 We’d put on our best pearls for Tim Byres’ baked Alaska: pink grapefruit ice cream under a soft billow of toasted marshmallow, with grapefruit supremes and mounds of honeycomb in attendance. Retro came back in a big way at this Roosevelt-era-inspired place in NorthPark. It may be the best thing since tableside flambé. Lucia’s intimate atmosphere and attention to detail never cease to charm. Crusty sourdough bread lands on the table with good butter and house-cured olives. Care goes into the skillfully made pastas and glorious charcuterie. And that single prune with foie gras mousse still feels like one of the best-kept secrets. 8. Chef Graham Dodds’ seasonal, farm-to-table sensibility means a menu that might include fondue with local raclette and veggies, vegan beet chili with cashew cream, and entrées like parsley root gnocchi or English pea falafel. A vegetarian “charcuterie” board’s clever reconfigurations mimic classic cured meats (think sunchoke “pâté”). Readers’ Pick: The menu at Kalachandji’s is made up of 5,000-year-old recipes that include spicy and natural ingredients to celebrate centuries of Indian tradition. Nitro coffee isn’t new, but trust the people at Local Press + Brew to do something different with it. They mix Noble Coyote nitro-infused cold brew with their Nut Party, a blend of coconut milk and meat, for something that’s subtly creamy-sweet, effervescent, and just this side of heaven. Good things happen when a top-notch chocolatier puts her mind to making ice cream. 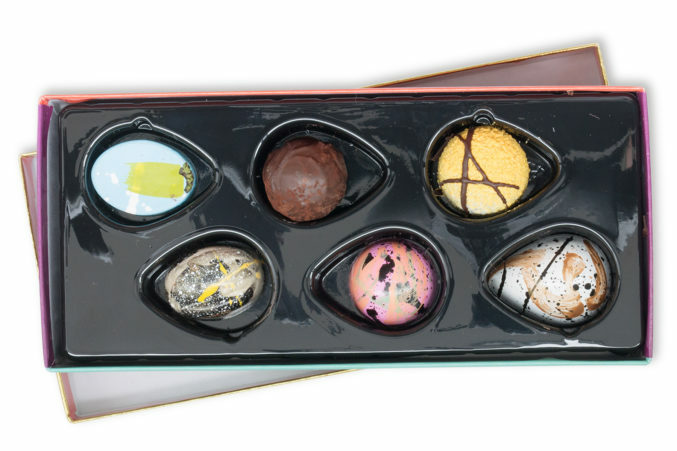 Frequently changing flavors include dark chocolate sorbet, bright cherry, salted caramel (the same they use in the bonbons), or an absolute knockout with candied sesame brittle. Also? Sundaes have patisserie-quality tidbits. Readers’ Pick: A taste of her grandfather’s handmade gelato started Paciugo founder Cristiana Ginatta’s lifelong romance with the Italian-style ice cream. Just a little over two years ago, owners Diane and Justin Fourton moved their tiny business to a corner building in Deep Ellum. The lines of loyalists followed. We don’t mind waiting, because now we can feast on the best smoked brisket around, drink beer and wine, and listen to live music. Start at the Cultivar coffee bar for one of the best cups in town. Then order the farm egg biscuit sandwich, sausage version—a bit spicy, almost too big for one hand, a bargain at $5. Before departing, do something you can’t do at any other breakfast spot: assemble a six-pack of beer from a selection of 600. Readers’ Pick: Crossroads Diner’s Tom Fleming brings his French-trained cheffing to breakfast staples at a brand-new location. Two 4-ounce, hand-formed Certified Angus Beef patties are thrown onto a griddle with thinly shaved onions. Once it’s ready, the patty is topped with a slice of American cheese, slathered with house Thousand Island dressing (a mix of mayonnaise, eggs, house pickles, chile sauce, and ketchup), loaded up with sweet and tangy house-made bread and butter pickles, and sandwiched between a glistening toasted brioche bun. You won’t even care that it’s all the way up in Denton. 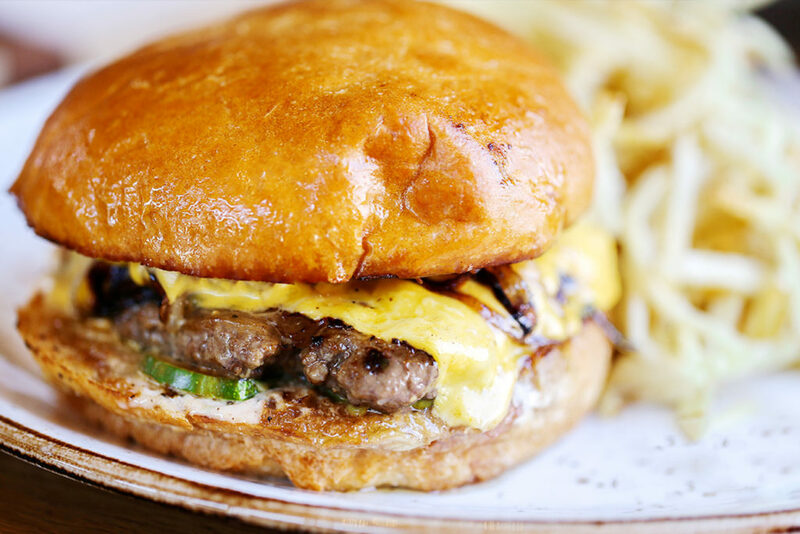 Readers’ Pick: A classic served for almost 40 years, the burger at Snuffer’s Restaurant & Bar continues to rank at the top. This cozy, low-key restaurant tucked in the corner of Chinatown in Richardson serves a mix of traditional Cantonese dishes and Americanized Chinese food. On any given night, families can be spotted jabbing chopsticks into passed plates of Hunan beef and cashew chicken and hot pots brimming with savory soups. Readers’ Pick: Royal China serves up authentic dishes like its signature jiaozi (Chinese dumplings) in a warm and inviting setting. The massive menu mostly devoted to southern Indian cuisine will make your head swirl with indecision. A long list of dosas is hard to miss, as is the unique Thalapakattu-style mutton biryani. Gather a group of gastronomes and go on the weekends when the kitchen prepares Grand Thali meals. Bring your own champagne—it pairs well, and the food deserves celebration. Readers’ Pick: India Palace has brought the zesty taste of India to Dallas since 1985. Chef John Tesar’s ode-to-beef restaurant bridges the gap between expensive steak palaces and budget-minded joints. Besides dry-aging high-priced selections, Tesar offers lesser-known, lower-priced cuts of meat such as culotte, tri-tip, and flat iron alongside 240-day dry-aged beef for $80 an inch. Call it an egalitarian approach to serving steak. Readers’ Pick: Bob’s Steak & Chop House’s signature item is actually a whole orange carrot. Here kids can safely run free while their parents sip fine cocktails and listen to live music. Chicken Scratch and its adjoining bar, The Foundry, provide the setting and satisfying slow fast food such as pecan-wood rotisserie chicken and buttermilk boneless chicken fingers. The salads, sides, and ranch dressing are all made from scratch. Fancy restaurants are selling fried chicken for $20 a plate. Chef Jeffery Hobbs’ technique of using hickory-smoked water as a base for his brine may seem elaborate, but an order of his crunchy, juicy chicken with two sides is only $13.99. Readers’ Pick: Babe’s Chicken Dinner House makes every meal taste like it came straight from your grandma’s kitchen. 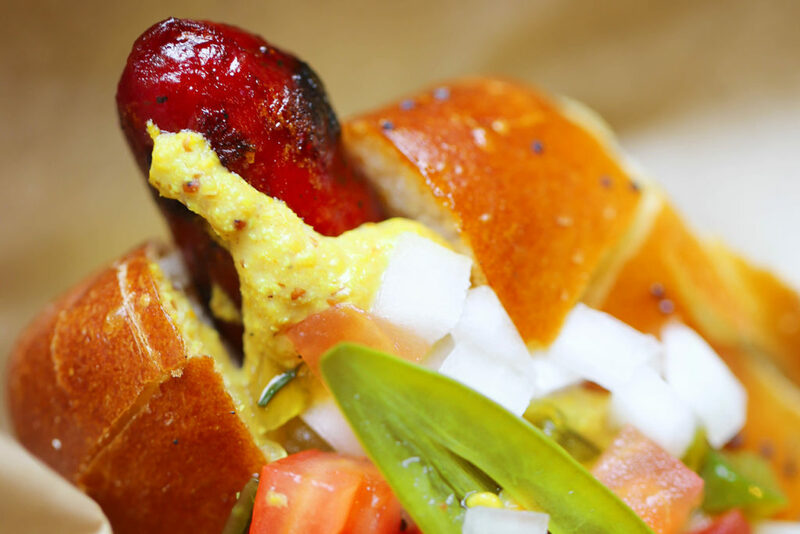 The day Brian Luscher stuffed his first all-natural, local beef sausage, he changed the way Dallas appreciates a good wiener. Thank his Chicago upbringing and his dedication to perfection, but don’t go another day without downing one of his standard smoky franks in a poppy seed bun covered with onions, tomatoes, and sport peppers. Far from the trendy kitchens around downtown lies a cozy spot that clings to traditional Provençal bistro fare. The menu allows you to sink into the comfort of canard roti au cassis or escargots à la Bourguignonne. It’s reassuring to know you can find excellent duck liver terrine. It’s easy. Its way-back website lists the restaurant’s Mapsco coordinate. John Alexis is the owner of TJ’s and enthusiastic promoter of all protein that swims. 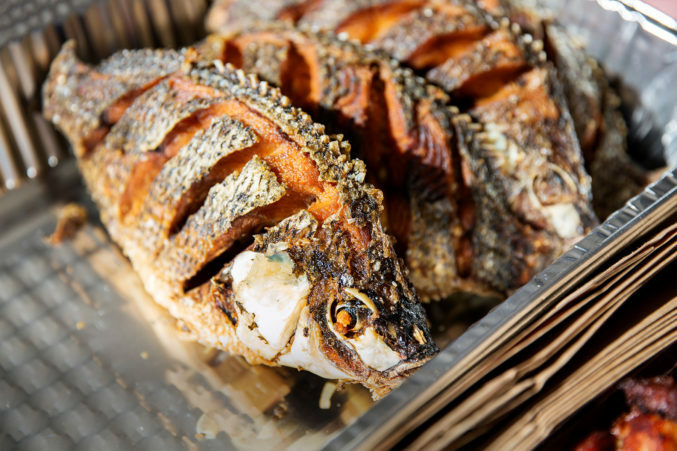 He took his parents’ tiny market and turned it into two locations, both with full-service restaurants and seafood education lessons. And if you don’t want to cook, TJ’s caters. Some fries are too skinny; others too fat. The glass jar of fried potatoes served here provides a mixture that is just right. The hand-cut strips, gently seasoned with salt, vary in size. Pull out a five-inch fry and sink your teeth deep into hot potato; reach to the bottom for short, crunchy bites. Readers’ Pick: The cheddar fries at Snuffer’s first won the hearts and stomachs of Dallas residents in 1978 and have kept a hold on them ever since. Here, where the Cuellar family has served Tex-Mex since 1955, you can tap into your deepest flavor memories. Remember your first nachos? Tacos? They’re waiting for you in the grand dining room in the building with the kitschy sign. Readers’ Pick: El Fenix’s devoted fans continue to return every Wednesday for the traditional $5.99 enchilada dinner. The blood orange margarita is made with fresh-squeezed blood orange juice, Herradura tequila, and lime. Simple, right? Wrong. What makes us crave this drink so hard is that we can only drink them from December through April when blood oranges are in season. All of that waiting around during the rest of the year makes our hearts grow fonder. Readers’ Pick: El Fenix has enough margaritas to try a different one every day of the week, if that’s something that interests you. Owner Jesus Carmona approaches his tacos like he greets his customers: with hearty gusto. 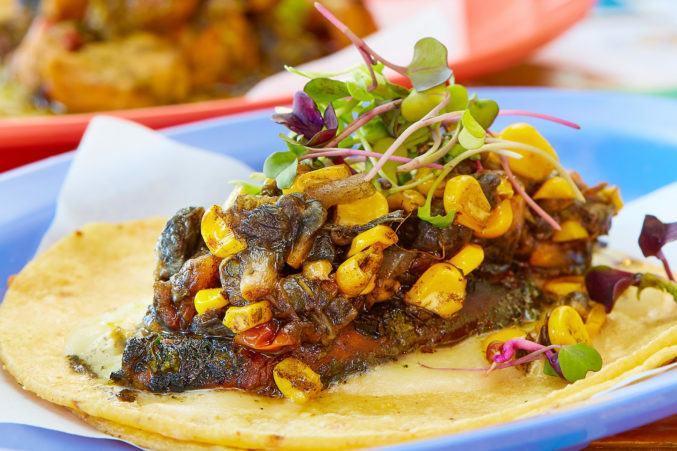 Near Trinity Groves, the brightly decorated taqueria serves up Tijuana-style tacos like the melt-in-your-mouth grilled octopus with Oaxaca cheese and sautéed shrimp with chile de arbol salsa. The menu is well-crafted, the space is inviting, and the tacos, well, you can’t beat ’em. Readers’ Pick: Founded in Austin, Torchy’s Tacos started opening locations in Dallas about five years ago.